Oh, no! GladRags currently doesn't have any offers on Vegan Cuts. However, check out our monthly boxes for vegan items delivered right to your door! 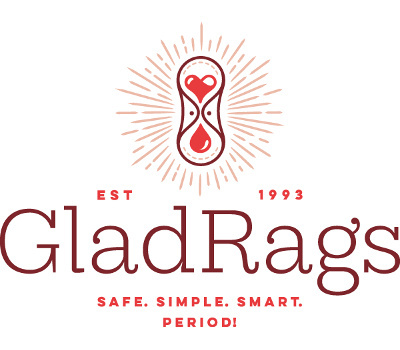 GladRags is a small business with big ideas: to make cloth pads and menstrual cups go mainstream and empower menstruators everywhere. From their office in Portland, Oregon, they ship comfortable, thoughtfully-designed reusable menstrual products to customers all over the world. Their menstrual cup, XO Flo, and full range of cloth pad styles provide menstruators of all types with body-friendly, versatile options that they can rely on for years. Inspired by the simple utility, earth-friendliness, and comfort of cloth diapers, GladRags was founded in 1993. It began just a few miles from their current office, as a home-based business that quickly outgrew the extra bedroom. They made many exciting changes over the years, but their mission has remained the same: to provide high quality, sustainable products to positively transform the experience of menstruation. Follow them on Instagram @gladragspads. Follow GladRags and get notified when they add new offers to Vegan Cuts.